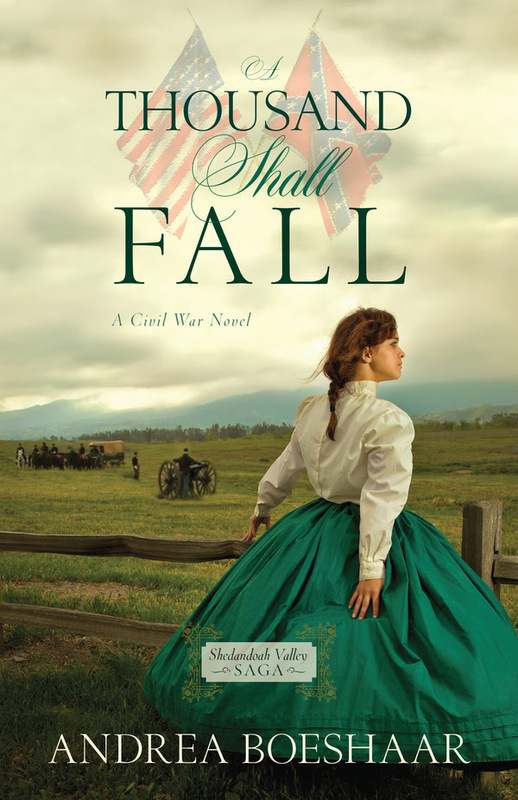 Set in 1864, a few years into the Civil War, the quick-witted and day-dreamy, Carrie Ann Bell, feels responsible for her family as she carries forth her missing father’s newspaper, and labors at the Wayfarer’s Inn to care for her ill mother and sisters after a fire destroyed their home. So when her younger sister runs away with a peddler, she protectively runs out to find her, disguising herself as a Yankee soldier to look for her in the northern Yankee territory. Unfortunately, she is caught before completing her mission, but sparks fly between her and the Yankee Colonel. 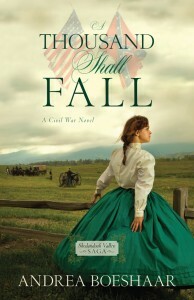 I enjoyed this story, especially for the historical element. I have read very little of the Civil War era, and was able to get a better grasp of who the major militarily and political leaders were on both sides of the war. I also appreciated Boeshaar’s use of authentic historical clippings interspersed throughout the narrative. The romance was light, fun, and predictable, which is what I expected from this genre. The war aspect (violence, brutality) was also very light and easy to read, despite the many references to horrific events. I am generally drawn toward darker war history, as it seems more authentic in that style. But the historical descriptions, people, and locations, are strong and well researched. The tone and “appropriateness” of the story make it ideal for teen readers, who would enjoy the story while also learning a bit of relevant history. Carrie Ann is a charming character, especially for her open-minded intellectual approach to the war, and willingness to consider both sides of the conflict, including the questions of faith and humanity.